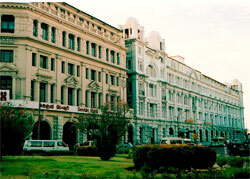 The Western Province (a prime area) consists of the districts of Colombo, Gamphara and Kaluthara. The official capital of Sri Lanka, Colombo , and its main business centre and harbour, Colombo City, are in this province. This is one of Sri Lanka’s most densely populated provinces, with a mixture of Sinhalese, Sri Lankan Tamils, Indian Tamils, Indian Moors, Burghers, Malays and Sri Lankan Hetti. Almost all of Sri Lanka’s premier educational institutions are here. The west coast is Sri Lanka’s beach country. It is blessed with golden sandy beaches interspersed by lush coconut groves, an ideal place to get that sun tan. Starting from the fishing village of Negombo all the way down south to Bentota, there are miles of sandy beaches to explore. The west coast road has made it easier to travel here. Going down it, you pass through the beach settlements at Kalutara, Beruwela and Hikkaduwa. 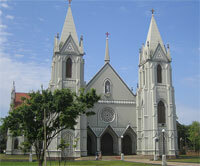 Negombo is a small port town that depends mainly on tourism. It also produces brassware and ceramics. There are some tranquil beaches with good swimming and diving spots near the coral reefs. A popular site is wreck of a ship, which has become an artificial reef. The town has many Old Dutch buildings, many of them still in use. Close to the sea front are the ruins of an Old Dutch fort. The Muthurajawela Marsh just south of town is a unique wetland habitat and the largest marsh in Sri Lanka. The fish market is held downtown near the Old Dutch Fort gate, away from the tourist area. You can buy all kinds of catch here, including seer, skipjack, pomfrets and amberjack. Lobsters and prawns are served as exotic delicacies in the many seafood restaurants and bars that dot the area. Many canals built by the Dutch are still navigable and extend all the way north to Puttalam, 120 kilometres away. An hour’s drive south of Colombo, past the Kalu Ganga Bridge, are beautiful sandy beaches and mangrove-lined lagoons. The beach settlement of Kaluthara is famous for its mangosteens. People canoe down the Old Dutch canals across Richmond Castle, an old spice plantation house. The safe, gentle waters of Bentota are ideal for family holidays. There is also a turtle hatchery down south at Kosgoda. There are other small settlements along the way. Hikkaduwa was once a favourite hippy haunt with a seedy reputation. It now attracts the younger crowd, independent travellers and backpackers. The beach here is narrower, with strong currents in places. Its coral reef is slowly dying, but still attracts tourists. Hikkaduwa has simple restaurants, beach bars and beachside night clubs. Its ambience is like that of Goa. 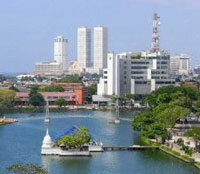 Colombo District is the smallest and the most densely populated district in Sri Lanka. Sri Lanka’s commercial capital, Colombo City, and the administrative capital, Sri Jayewardenepura Kotte, are both in this district. Colombo is Sri Lanka’s largest city and home to almost 2 million people. It is a city of old churches, temples and buildings, including the old parliament, the Independence Building and the National Museum. The museum has more than 4,000 ancient palm leaf manuscripts. The closest beach resort is Mount Lavinia, about 10 kilometres from the city. The city’s seafront, the Galle Face Green, is a 5-hectare open space where locals love to take evening strolls while watching the sun set. Cricket and kite-flying are popular pastimes here. Beyond this lies the upper-class neighbourhood of Cinnamon Gardens. The Cinammon Gardens is a block east from the Galle Road. It is the diplomatic area and the city’s wealthiest neighbourhood. Though the major ethnic groups are Sinhalese and Tamils, it is a multi-religious and multi-ethnic area, with Burgher and Arab communities. 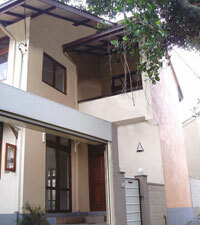 It has wide, jacaranda-lined boulevards and spacious mansions. The semicircular Viramahadevi Park with the white-domed Town Hall is Colombo’s largest and most elegant park. Nearby is a golden image of the Buddha, reflecting Sri Lanka’s ancient heritage. The flowers are in full bloom from March to May just before the arrival of the monsoons. In the centre is the statue of Queen Victoria. Kollupitiya or Colpetty has a distinctly Chinese feel, with many Chinese immigrants preferring to live here. There are plenty of Chinese restaurants and shops to buy Chinese goods, fashionable high-end malls and even some foreign embassies. The official residence of the Prime Minister is within walking distance from Maha Nuge Gardens. Bambalapitiya extends for about 1.5 on the Galle road. It faces the Indian Ocean on the west. In the east, it is bordered by Havelock Town. Havelock Town is around 6 kilometres to the south of Fort. Havelock City is one of the largest mixed-use property developments in Sri Lanka, with commercial and residential facilities. Sri Jayawardenapura Kotte, or Kotte, is the legislative capital of Sri Lanka, situated just a few miles from its commercial capital, Colombo. The population of the city is around 300,000, predominantly Sinhalese. Rajagiriya, named after the former governor’s residence, is one of the main residential and commercial suburbs in Kotte. Much of its modern development has resulted in the destruction of several historic buildings. Clearly the conservation or preservation of historical buildings seems to have no place here.